The County of San Bernardino Department of Public Works will be starting a surface seal project on various roads in the Lake Arrowhead area from June 20 through August 20. This work will be similar to the work done two years ago on Lake Gregory Drive. Motorists can expect delays of five to 15 minutes because the project will be a moving operation with a pilot car, which will guide traffic through the work zone to allow access to businesses and homes. Flagmen will be stationed to allow one-way traffic.. The project will be a two-step process. The first step is application of a chip seal to provide a better wear surface. This approach is used on roadways two to three years after they have been resurfaced to protect the new resurface. The concept is similar to applying a wood sealer to a wooden deck to extend the life. The chip seal involves spreading oil onto the roadway to seal it and applying gravel chips that provide the wearing surface. The second step consists of applying a “fog” seal over the newly chipped surface. This seal improves the bonding of the material to the roadway and improves appearance. Chip seals are used because they are the most cost-effective treatment to preserve the roadway surface and to protect it from harmful oxidation from the sun and weather. 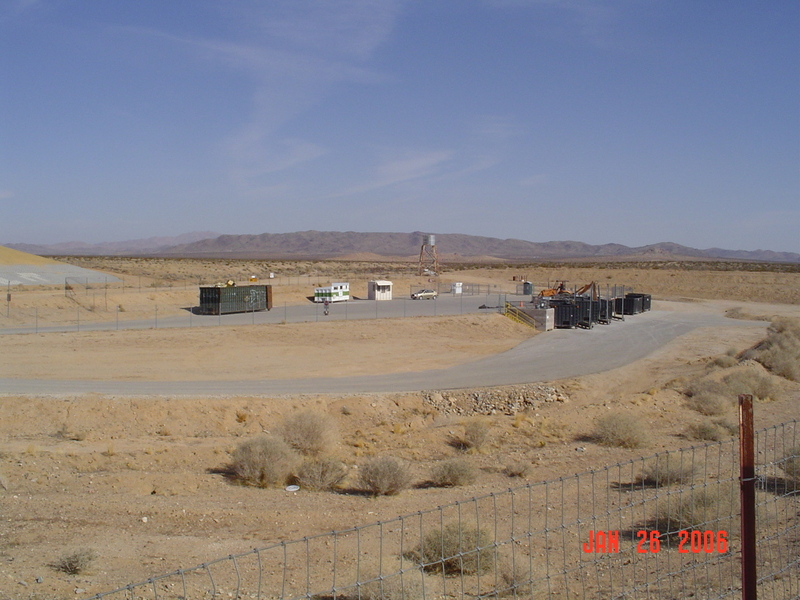 The County typically applies a chip seal to roadways to protect the new surface by sealing it, providing a protective layer while rejuvenating dry and weathered asphalt pavement. Recently revised procedures in the chip seal process that include additional quality control measures, smaller chip size and the application of a fog seal coat have resulted in an improved product. 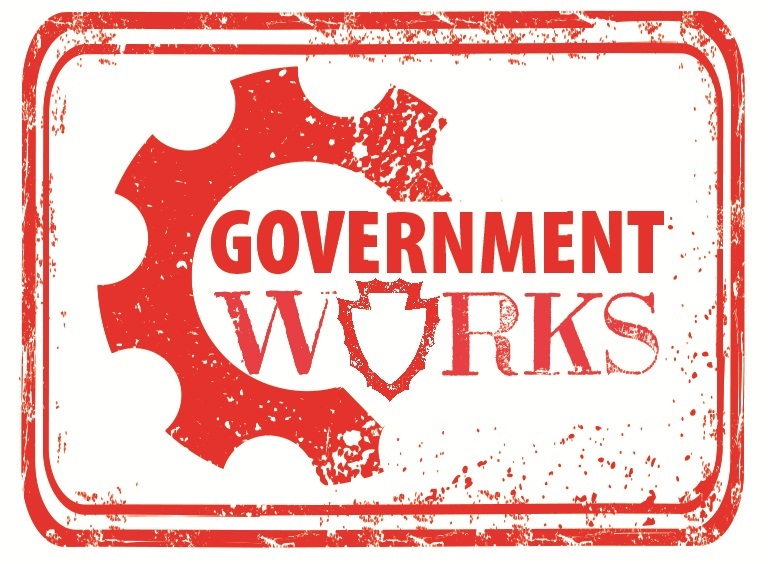 Public Works plays a key role in the achievement of the Countywide Vision, by maintaining the infrastructure of our roads. Additional roads will be receiving a surface seal project. For more information see our website under Public Notices at http://cms.sbcounty.gov/dpw/Home.aspx. 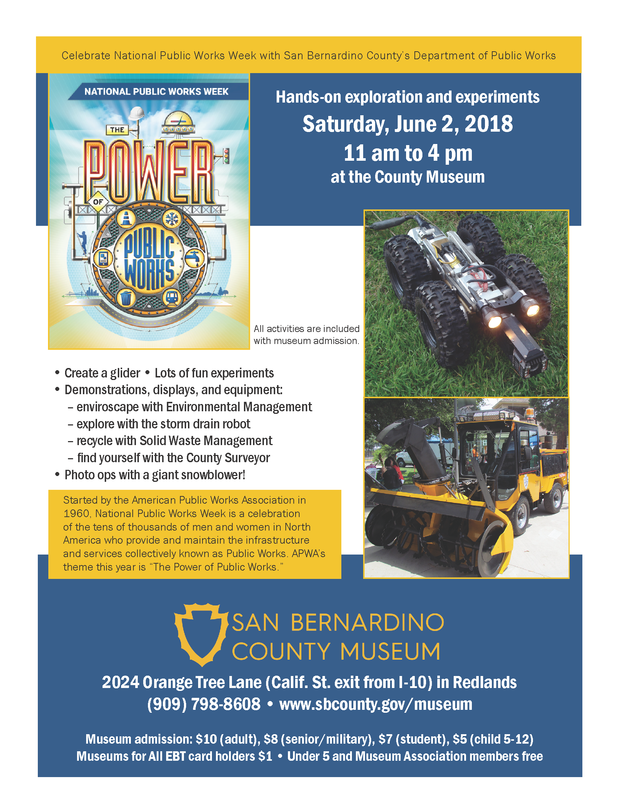 For further questions please contact the Department of Public Works Operations Division at (909) 387-8063. 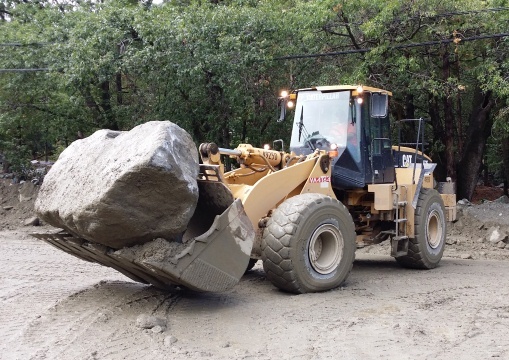 Clearing flood control channels, stockpiling sandbags and holding public outreach meetings in flood-prone areas are just a few things County departments are doing to prepare for El Niño storms this fall and winter. The Board of Supervisors heard a special presentation today from County staff about what is being done throughout the county to prepare for El Niño. The County Office of Emergency Services is working in conjunction with the Department of Public Works, the Sheriff’s Department, County Fire, and Special Districts – along with local, regional and state partners – to make sure all safety issues throughout the county are being addressed. Risks of flooding and mudslides are higher in areas that have recently experienced wildfires. 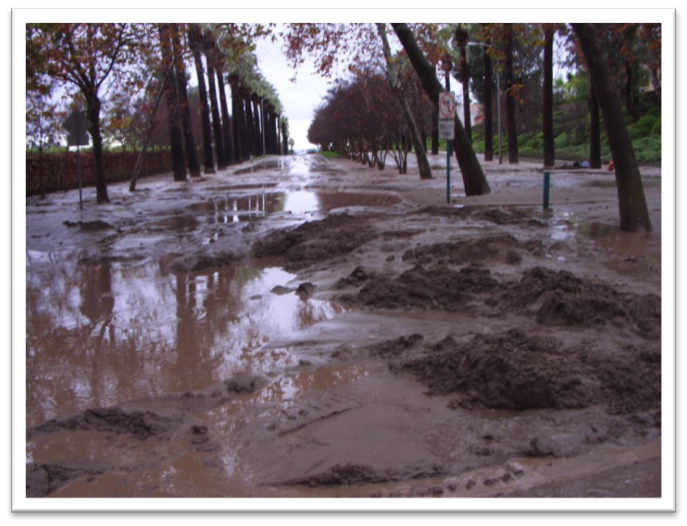 Flood control channels and culvert crossings are being cleared in anticipation of heavy rains and advance teams are advising homeless encampments to relocate. More than 200,000 sandbags are being stockpiled and inmate hand crews have been trained in sandbagging, flood fight techniques and debris removal. Additional weather stations were added throughout the county and the real-time rain gauge alert system is being updated. Sheriff’s deputies and County firefighters are practicing procedures for swift water rescue training. Public outreach meetings have been held in Lake Arrowhead, Yucaipa and Victorville to update residents on the latest El Niño forecast and what County departments are doing to prepare. Residents were also offered flood preparation materials. More public meetings will be held at 5:30 p.m. on Nov. 9 at the Yucca Valley Community Center, 57090 Twentynine Palms Highway in Yucca Valley and at 5:30 p.m. on Nov. 12 at the Victoria Gardens Cultural Center, 12505 Cultural Center Drive in Rancho Cucamonga. A meeting time and date for the San Antonio Heights/Mt. Baldy area will be announced soon. An El Niño resources web page for residents to obtain information on storm preparation is available at http://www.sbcounty.gov/main/elnino.asp. 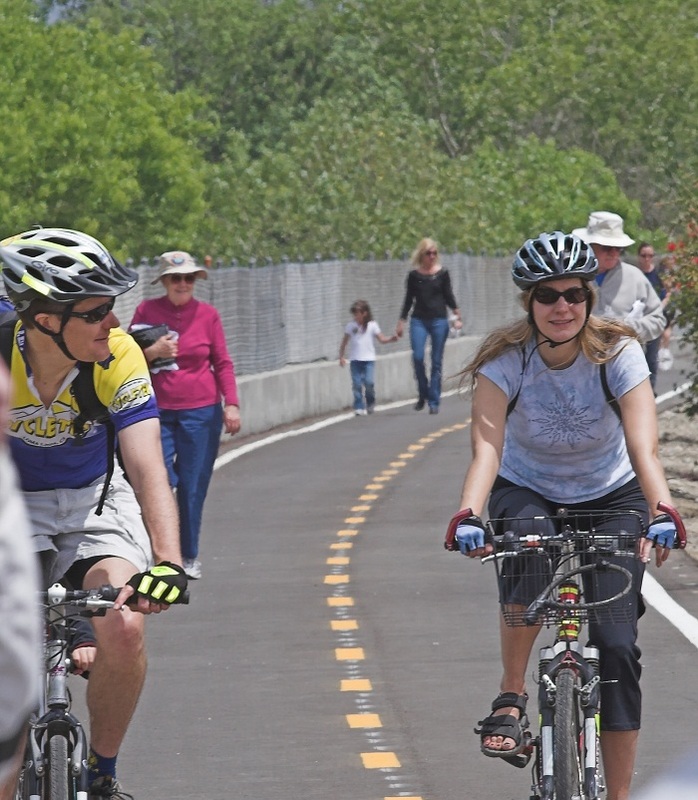 The San Bernardino County Department of Public Works reopened National Trails Highway from Crucero Road to Amboy Road in Ludlow today at 2 p.m. Severe thunderstorms blasted the Mojave Desert September 7 and 8 triggering flash floods throughout the desert regions. 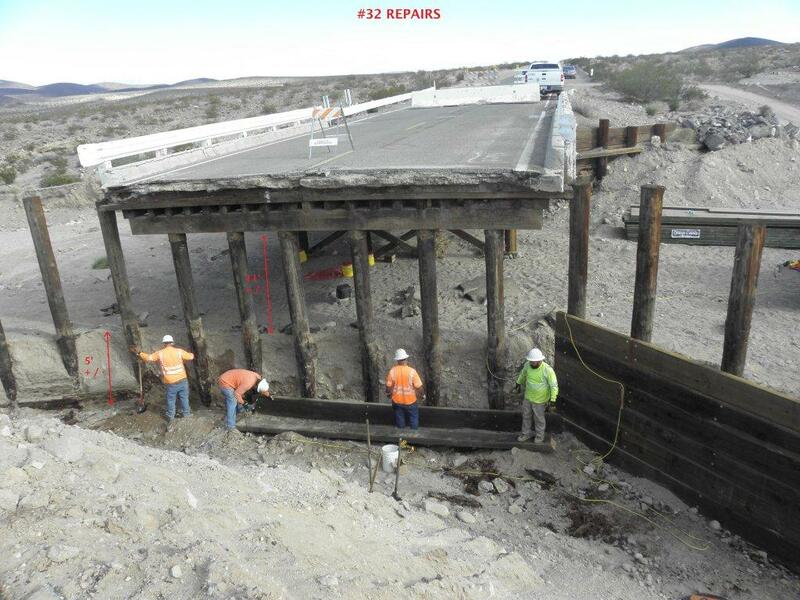 Closure of I-95, I-40, National Trails Highway (Route 66), Needles Highway, and various other desert roads occurred due to washouts and bridge damage. The most extensive damage was along National Trails Highway where approximately 40 bridges were damaged along with major portions of the roadway. Public Works crews have been working diligently to make these repairs. For the most up to date information on road closures we have a web page located here. Publi c Works crews continue working hard to get National Trails Highway reopened after incurring damage from the September 2014 storms. 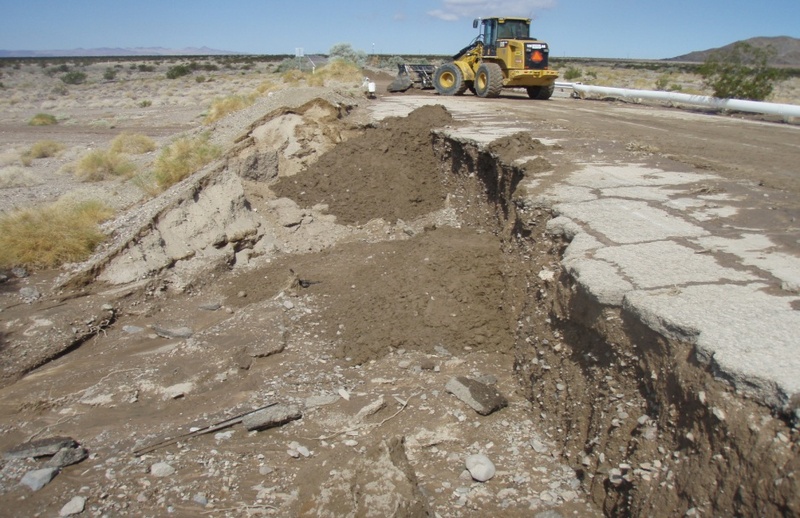 The storms in September damaged sections of National Trails Highway from Hector Road to Amboy. The most extensive damage was along National Trails Highway where approximately 40 bridges were damaged along with major portions of the roadway. 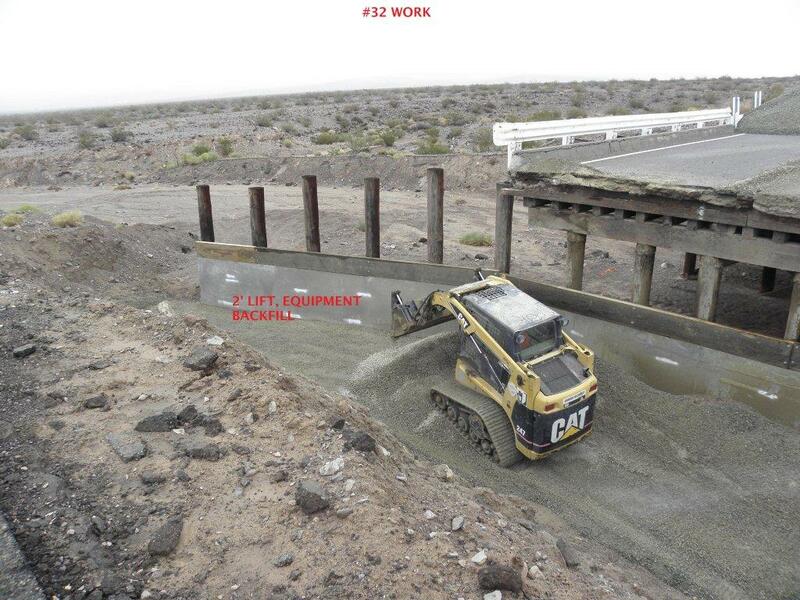 Sections between Hector Road to Crucero Road (Newberry Springs/Ludlow area), Crucero Road to Amboy Road, and Cadiz Road to Mountain Springs Road at Interstate 40 have been closed pending roadway repairs, shoulder repairs and bridge evaluations. 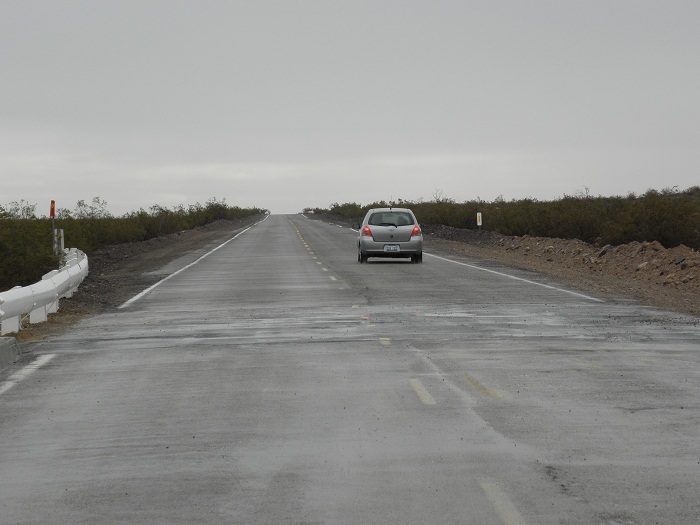 Public Works crews reopened the first stretch of the road, Hector Road to Crucero Road, in November. The photos above are on National Trails Highway, three miles east of Ludlow. 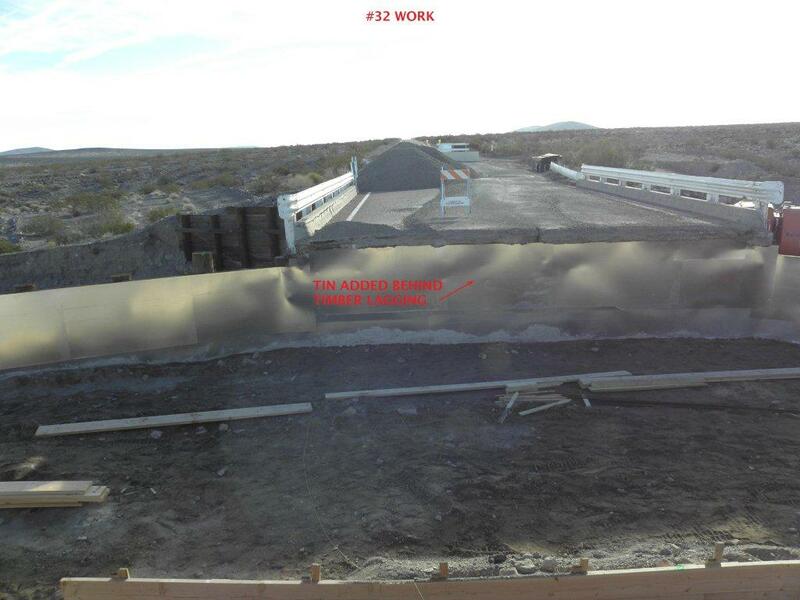 The crews are anticipating opening this next section from Ludlow to Amboy sometime in January 2015. Public Works is planning on reopening the section of National Trails Highway from Hector Road to Crucero Road, in the Newberry Springs/Ludlow area, by Friday, November 7. The most extensive damage was along National Trails Highway where approximately 40 bridges were damaged along with major portions of the roadway. Sections between Hector Road to Crucero Road (Newberry Springs/Ludlow, area), Crucero Road to Amboy Road, and Cadiz Road to Mountain Springs Road at I-40 have been closed pending roadway repairs, shoulder repairs and bridge evaluations. Public Works crews have been working diligently to make these repairs. This is the first stretch of the road to be reopened since the storms occurred. It is anticipated the section of roadway between Crucero Road and Amboy Road will be open by the end of December 2014 and the section between Cadiz Road and Mountain Springs Road at I-40 by the end of January 2015. All of these timeframes could vary depending on the weather. For further questions please contact the Department of Public Works Operations Division at (909) 387-8063.